Presentation inscription, “Dr. Ch[arles?] Beck | from the author,” on a separate reprint edition of Louis Agassiz’s review of Charles Darwin’s Origin of Species . 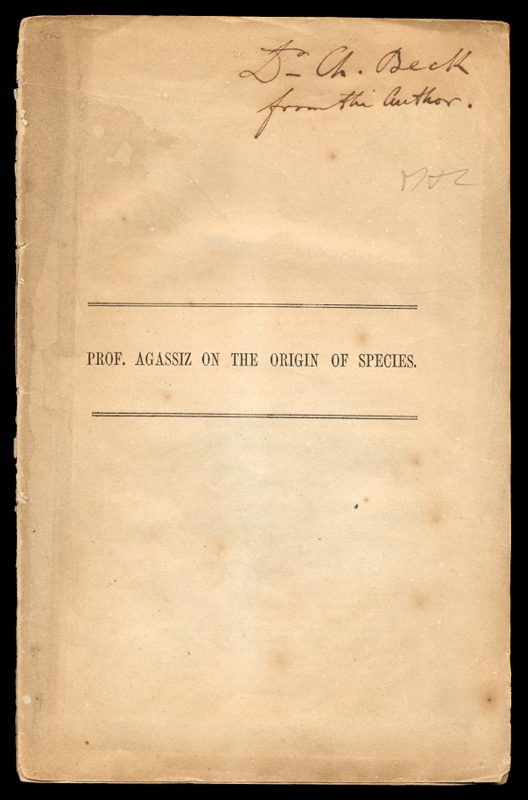 The review was originally published in the American Journal of Science and Arts, 30 : 142–154, July 1860. As the founder of Harvard University’s Museum of Comparative Zoology, the Swiss-American naturalist Agassiz was Darwin’s most prominent scientific opponent in the United States.